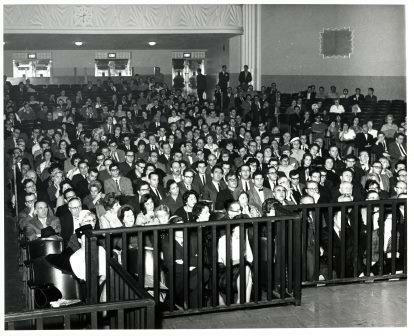 Did you know that Philip Roth, who died yesterday at age 85, spoke at Yeshiva University in 1962, as part of Yeshiva University’s 75th anniversary celebration? The University organized a year-long series of events in conjunction with its Diamond Jubilee. 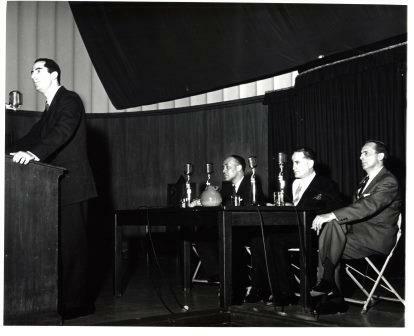 The Symposium, “A Study in Artistic Conscience: Conflict of Loyalties in Minority Writers of Fiction,” became the best known of the 75th anniversary happenings. 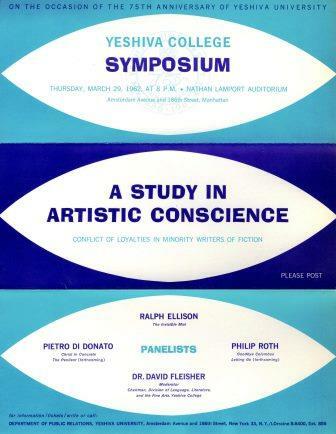 A panel featuring three authors: Pietro Di Donato, Ralph Ellison, and Philip Roth, moderated by Prof. David Fleisher, took place in Lamport Auditorium in front of a full house. 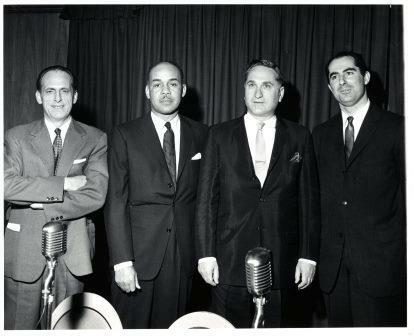 In 1962, while appearing on a panel at Yeshiva University, Mr. Roth was so denounced, for that story [“Defender of the Faith”] especially, that he resolved never to write about Jews again. He quickly changed his mind. Indeed, the canonical edition of Roth’s works, The Library of America, divides his early writings into: “Novels & Stories 1959-1962” (volume 1), and “Novels 1967-1972” (volume 2), perhaps indicative of the influence of the discussions at Yeshiva in 1962 in Roth’s literary career.